Deeply committed to the health and well-being of each and every client… Renew naturally. 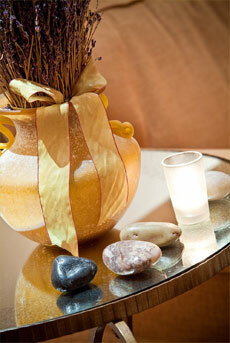 StressBusters Wellness Day Spa is a pioneering spa for healing massage, effective skin care and stress reduction. Realizing a need for healing and relief within this southern California community, SB grew by offering effective, uplifting and healing bodywork begining in 1993, providing unique support and care to thousands of clients. A true love of nature focused SB to choose organic products for all facets of the day spa nearly 18 years ago. This visionary team has created a wellness retreat that is soothingly beautiful featuring a European elegance with inspirational art, music, and décor. The total experience is heartwarming and inspirational … the benefits are boundless. We are always adding wellness services to our menu. We send out a periodic newsletter to keep you informed of new and exciting treatments. Click Newsletter to sign up. If you are not signed up for our newsletter, be sure to visit our Articles Page for we are doing a 9 part series on wellness. Once we are done, you will be the picture of wellness. Be sure to sign up for our newsletter so you don’t miss the next issue. We Accept Spa Finder Gift Cards!! 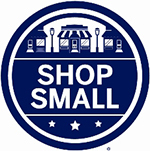 We accept Spa Finder, Spa Wish and Spa Week gift cards for any dollar amount. Please note, these cards cannot be used to purchase StressBusters’ gift certificates, are not valid for discounted services and cannot be used for gratuity. It’s just around the corner: Sunday, May 12th. A lovely massage or facial is a perfect enhancement to make her day complete. Mother’s Day fills up fast so schedule now.